One of our designers had a problem modifying a Family Table that he created so instead of asking for help, went and created 3 independent part files with the sme number scheme. Now I want to merge them into the family as instances. Is this possible to do with Windchill 10.0 m040? I know I could do it with Intralink 3.3. Is there a PTC document that explains the process or has someone got a cheat sheet for the steps involved. I took this from my directions to take a single object and rename it to make a generic and add instances. Since you have all the objects already there, you will need just these. Make sure that you only put your current generic and instances in the workspace to begin and not the one you want to add. Open the part in CREO. Create a family table. Add instances for the original number and each number created in Step 4-5 above. Return to the workspace in CREO. Go back to the model in CREO. Verify the family table and save. Go back to the workspace. Everything should show up as new and the original part is now an instance. Add all the parts into the workspace. 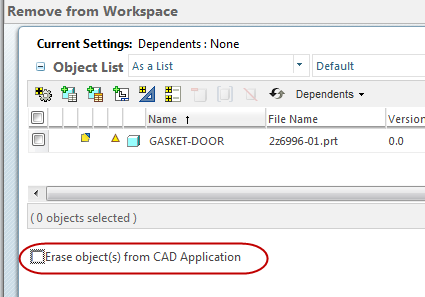 Verify that “Reuse modified workspace content” is selected. 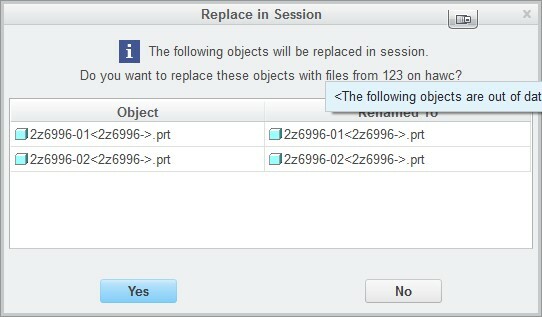 Select Yes to Replace in Session the renaming of the objects. Notice that the part has the icon for “Modifications are not eligible for upload”. Select the parts and the drawing and do a Check Out. It is now available for Check In.